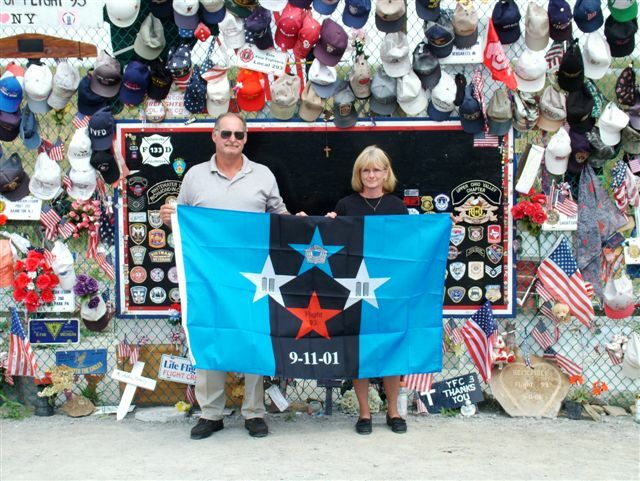 We heard about Steve's illness from Donna O - as Ambassador's at Flight 93 Memorial we are so grateful for the contribution of your 9/11 National Remembrance Flag. We are remembering you both in our prayers and pray that the Lord will touch your hearts and lives in His perfect way. My thoughts and prayers are with you and Joanne. you are an inspiration to me and an example of what one man's determination and conviction can accomplish. You have so much to be proud of. Please know that my thoughts and prayers are with you. 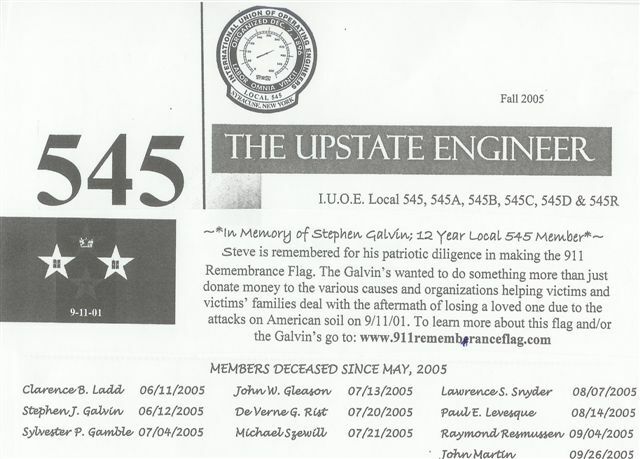 As I look at my 9-11-01 lapel pin, I will continue to honor the memories of that fateful day, as well as continue our work to designate a lasting tribute. You efforts are so admirable, and I am honored to work with you on this important objective. We all are in your debt. 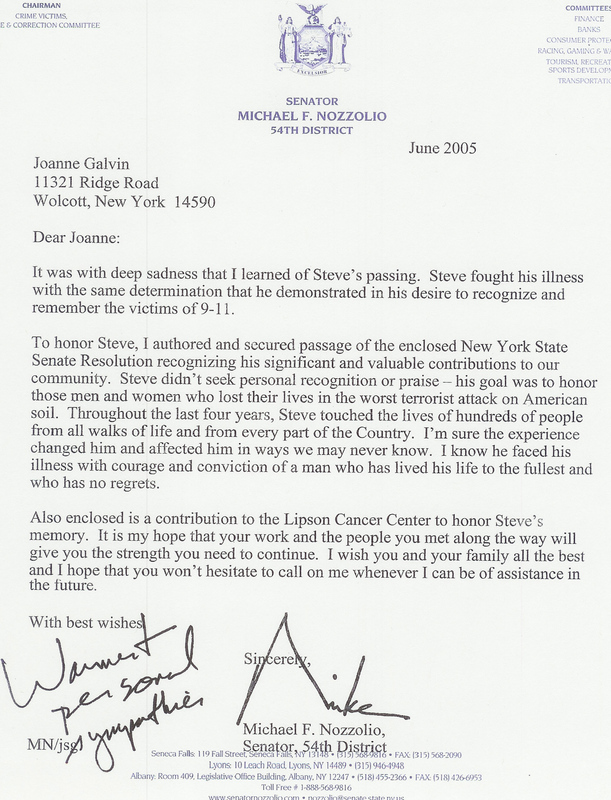 You are Steve have certainly touched so many hearts at their time of grief during 9/11 - including ours. We are both saddened on the loss of such a wonderful person, friend, husband and father. There will be many prayers expressed for Steve and his great family. Words cannot express our deep sorrow at Steve's passing. We know both of you from your efforts to promote the '9/11' flag. All of the legionnaires in the Geneva area are equally saddened by your loss. The energy that you and Steve expended in the flag project is phenominal. 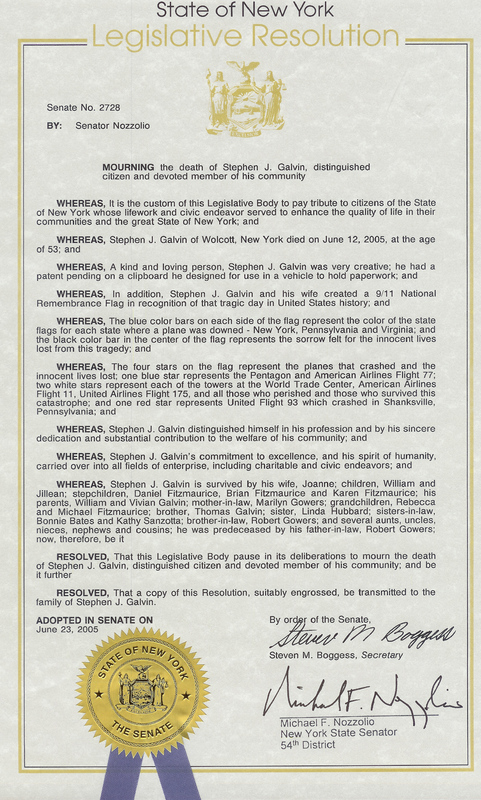 We can only hope that you continue this work and that if God wills it, the flag will be adopted on a national level. Again, you have our deepest sympathy.